Drones have changed our perspective to the way we take videos and photos...literally. Who knew that a camera strapped to a flying machine powered by a propeller could impact so much in the way we take photos? As technology progresses we are going to see more drones taking to the skies with better features, camera quality, and range. From the makers of top-notch drones like the Phantom series, DJI brings another game-changer in the business. The DJI Spark is a mini-drone with major features that you can't find in any other brand. 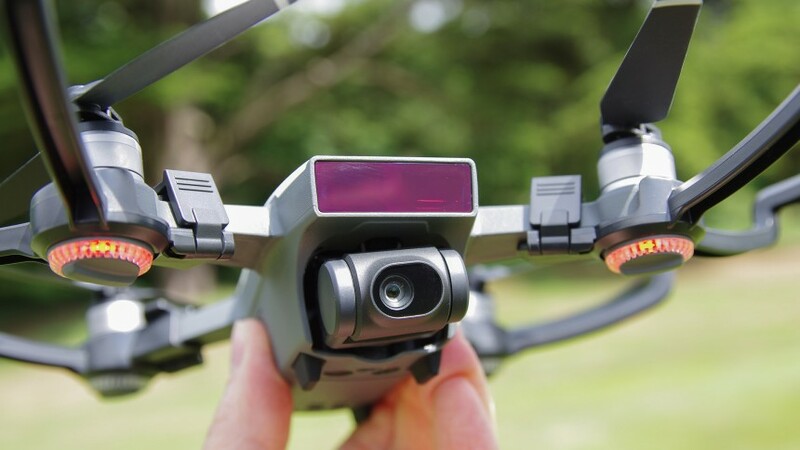 It is smart, easy to use, and compact, making it easier for consumers to take aerial shots with ease. What makes it different from other drones? The Spark is the latest mini-drone from DJI set to release this June 2017; we can practically hear its propellers buzzing in our ears. 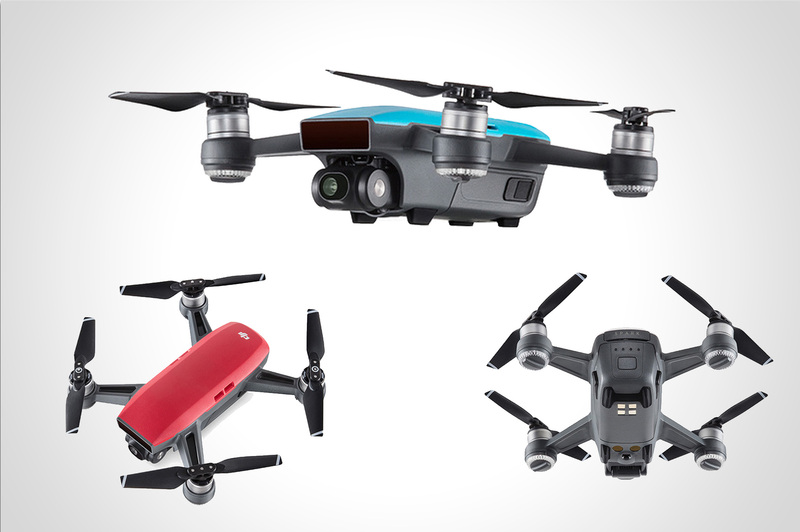 The DJI Spark is an easy-to- use and compact drone that has all of DJI's technologies such as an intelligent flight mode, a mechanical gimbal for stabilisation, and a 1080p camera. However, there's more to this mini-drone than meets the eye. Even if you don't consider yourself as "tech-savvy", you would be able to operate this drone with ease. 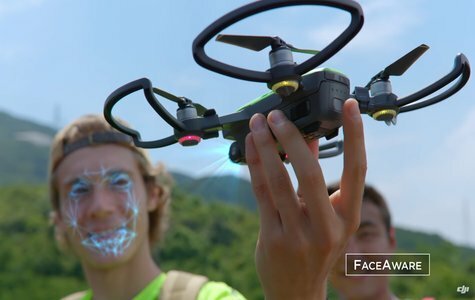 The DJI Spark allows you to quickly launch the device into the air with its FaceWare technology. Once you turn it on, it lifts up instantly from the palm of your hand after recognising your face. But turning it on is not the only thing that's easy to do with the DJI Spark. Using its PalmControl mode, it can easily recognise hand gestures without the using a controller or a mobile app. This allows you to take selfies with simple hand motions. In addition, it follows hand movements which can take off or land at the palm of your hand. 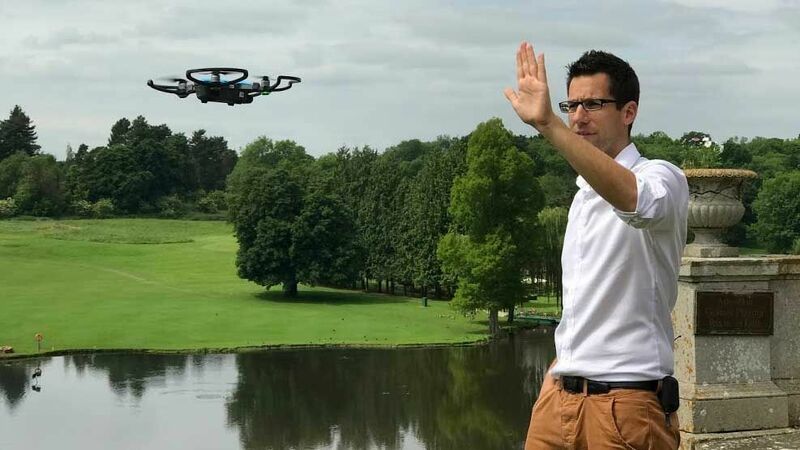 Another feature that sets the Spark apart from other drones is its intuitive flight modes that can recognise objects and obstacles along the way. This mini-drone uses ActiveTrack that allows it to "see" different shapes according to how fast it moves and what they are. You can have the drone follow in front, behind or circle the target, capturing shots like never before. Another notable feature about the DJI Spark is its FlightAutonomy System that increases the camera's awareness with its environment. Using Vision Positioning System or VPS, 3D Sensing System, Dual-band GPS, precision inertial measurement unit, and computing cores, it can hover, sense obstacles, and land safely. That means you don't have to worry about your drone being caught in trees, colliding with large objects or straying off course. Like all DJI drones, the Spark returns to its home point automatically using GPS. If it's battery is too low, loses connection or if you press the RTH (Return to Home) button, the Spark uses its downward-facing camera as a references for safe landing. In addition, it also uses DJI's Geo System which alerts users where drone flights might trigger safety and security concerns. The DJI Spark is a smart mini-drone but it's not the only thing it can do. The Spark is also equipped with a high-performance 1/2.3-inch CMOS sensor that takes 12-megapixel camera shoots HD 1080p videos. Moreover, it also has a f/2.6 wide-angle lens with a 25mm equivalent focal length. If that's not enough, the DJI Spark also has a 2-axis mechanical gimbal and UltraSmooth technology that helps stabilise shots and dramatically reduce shaking, and roller shutter effects. Another feature that sets the Spark apart from other DJI drones is its Pano and ShallowFocus modes which is unique to the camera. The Pano mode allows you to take vertical or horizontal panoramic shots by simply adjusting its gimbal and heading. On top of that, the Spark also has a ShallowFocus mode that captures photos with a shallow depth of field, meaning you can make your subjects stand out from the background. 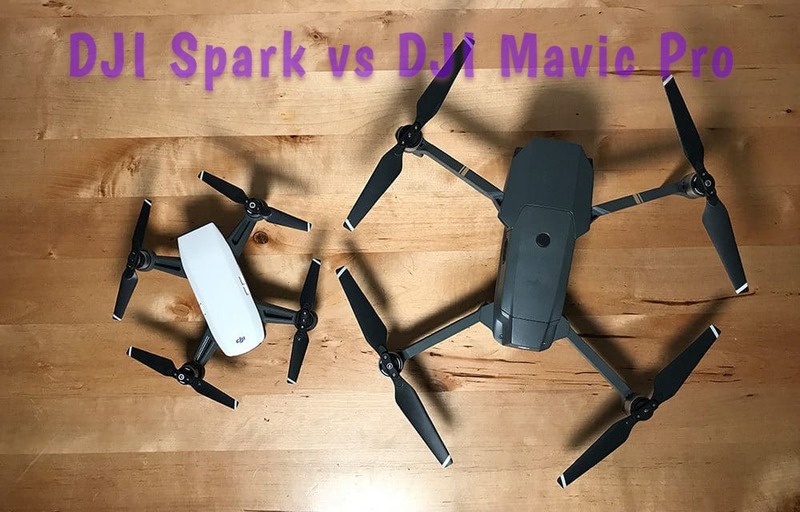 The Spark has more tricks out of its sleeve with its amazing flight performance exceeding its predecessors. This min-drone has a powerful and precise propulsion system that allows you to control its speed and acceleration. The drone itself is designed to be lightweight, aerodynamic, with a slick design that soars through the air with minimal wind resistance. In sports mode, the Spark can lift up to the air with wind speeds up to 31 mph or 50 kph. It is a powerful mini-drone that can take your shots to new heights! Even with all these features, the Spark's flight time is never compromised. It uses high-energy density LiPo battery with 12 intelligent protection functions for a safe flight, landing, and take off. With a full-charged battery, it can fly up to 16 minutes straight. The DJI Spark also allows you to see where your drone is going with its innovative HD Wi-fi video transmission. 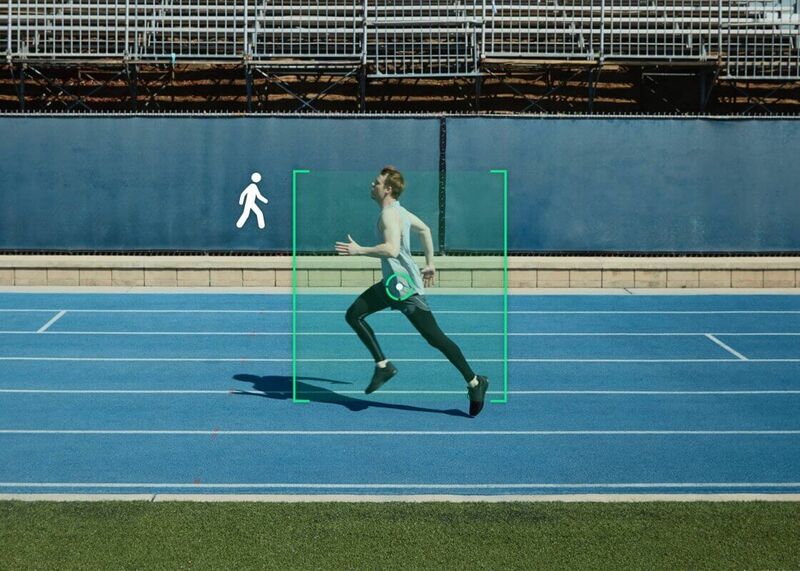 It broadcasts 720p of video in real-time with a range of 1.2 miles or 2 km away. If you are in for a real experience, you can pick up a pair of DJI Goggles, switch to sports mode and automatically go to FPV (first-person view), so the camera moves as you fly! The DJI Spark is a drone camera made for everyone! With its intelligent flight modes, clear and crisp shots, and intuitive controls, you can capture and create unique content with a few taps on your smartphone. 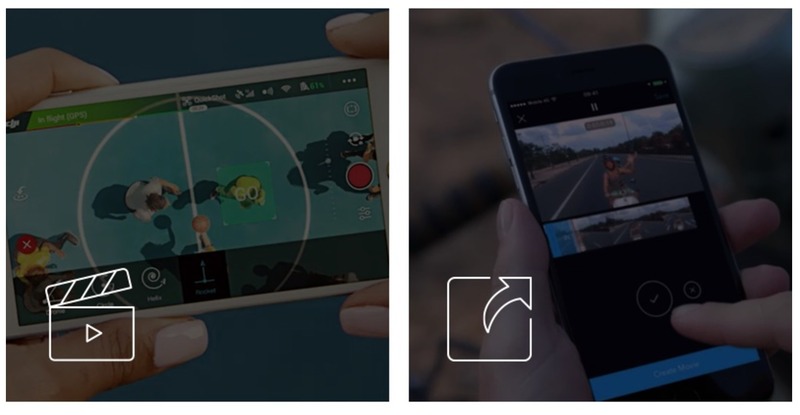 With the DJI Go 4 app, you can quickly edit your photos, and videos by using templates, filters, and quickly share them to all your social media accounts. Capture every bit of your adventure with the DJI Spark and the DJI Go 4 app! The DJI Spark is a game-changer when it comes to drone cameras. Its user-friendly controls, top-notch 12-megapixel 1080p camera, advanced stabilisation technology, and best of all, it is compact and travel-friendly. This drone camera is setting a new standard in aerial photography and videography! For all drone lovers and storytellers there, you can now own a DJI Spark at the lowest price in Singapore.